Time outside is sweet, but time outside with the one you love is even sweeter. So power down your phone for a weekend, take to the open road and spend some time recharging, reconnecting, and romancing in one of West Virginia’s wild spaces. One of West Virginia’s most spectacular trails isn’t on land— it’s on the rushing water of the Cheat River, the East’s longest, free-flowing river. Sometimes churning with frothing whitewater, while sluggish and unhurried in other places, the north-flowing Cheat River is a wonderland for paddlers. Explore the waterway along the 40-mile Upper Cheat River Water Trail, winding through the Monongahela National Forest, past historic Native American and pivotal Civil War sites, historic towns, and plenty of pit-stop-worthy local eateries. While the Upper Cheat River Water Trail is usually a class I-II paddle with plenty of places to linger to take a dip or cast a line, conditions upstream can change the currents (especially after extreme weather), so check water levels before heading out. Access the river trail at one of 9 points between Hendricks and Rowlesburg. 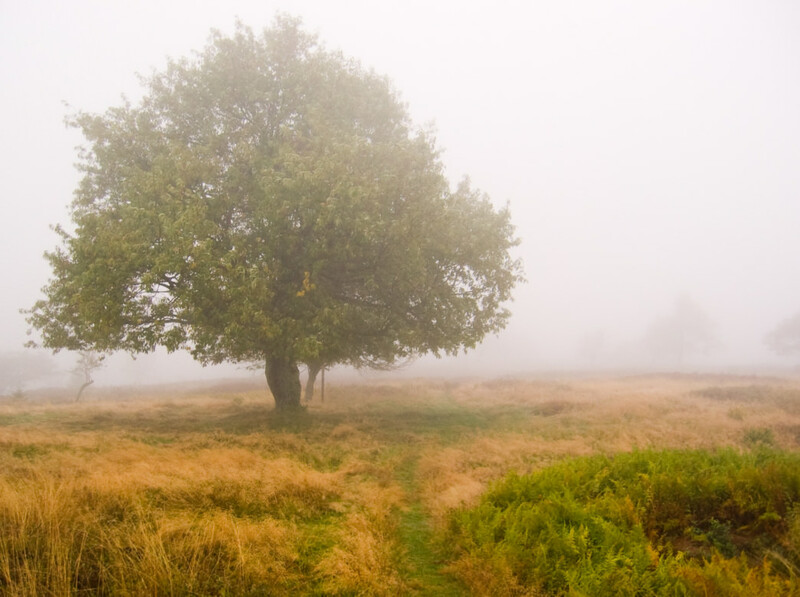 Spend some distraction-free time time on the trail exploring the rugged high plateaus of Roaring Plains. The wild 12,376-acres in the in the Potomac Ranger District of the Monongahela National Forest is even less visited than the neighboring Dolly Sods Wilderness. "The Plains" is divided into 2 sections: Roaring Plains West, designated a wilderness in 2009, and the eastern section, still officially backcountry. The entire area is capped off by the 4,770-foot Mount Porte Crayon— almost as high as the state’s tallest peak, Spruce Knob. 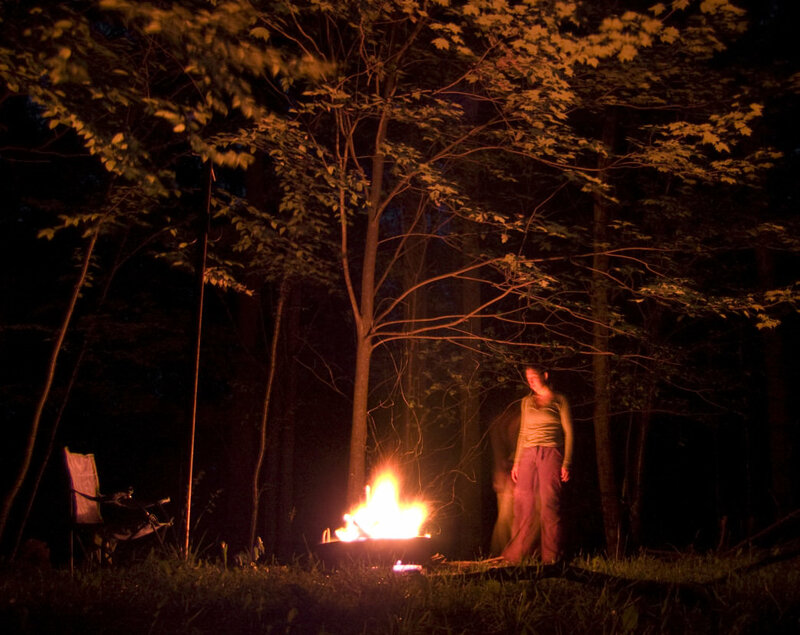 Head for the 3.3-mile Roaring Plains Trail and pitch your tent at one of the spruce-shaded wilderness campsites overlooking Long Run Canyon. Leave time for a cozy backcountry happy hour and plenty of stargazing. Be sure to listen for the roaring, tree-rustling winds the plains are named for. 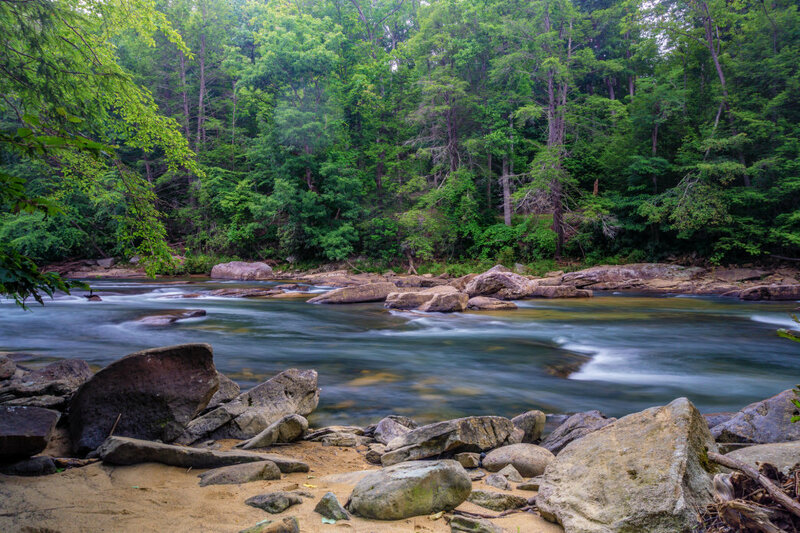 Unwind and fall asleep to the sound of the rushing water of the Middle Fork River at one of the secluded riverside campsites at Audra State Park. Take a dip in the natural pools at the designated swimming area, hit the river in kayaks from Tygart River Outfitters or explore Audra’s terrestrial wonders on the park’s network of trails, including the Alum Cave Trail. Stay a while and use Audra’s leafy campground as launching point for longer river runs on Middle Fork or nearby Buckhannon or Tygart rivers. Bag one of West Virginia’s most iconic peaks the hard way— by scaling it. While the massive, 900-foot slab of Tuscarora quartzite towering above the North Fork River may seem daunting, there are more than 375 different climbing routes on Seneca Rocks, with options for both experts and beginners. For true newbies, look into the local climbing schools—Seneca Rocks Mountain Guides and the Seneca Rocks Climbing School, which both have guided climbs and instructional courses. 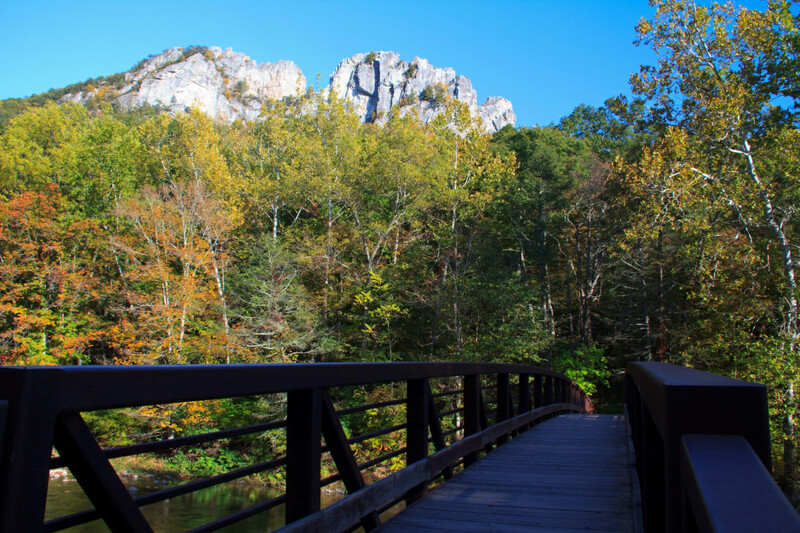 If keeping your feet on the ground is more your style, lace up your hiking boots and summit the massive sliver of rock along the 2.6-mile round trip West Side Trail, starting at the Seneca Rocks Discovery Center. 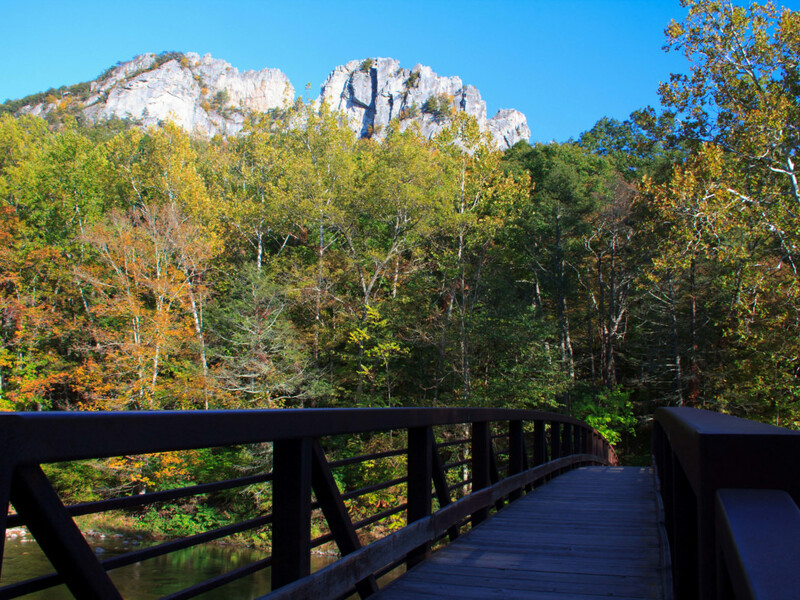 Snag a serene, walk-in campsite at the Seneca Shadows Campground in the Spruce Knob-Seneca Rocks National Recreation Area, or shack up in a genuine Appalachian log cabin. Although Summersville Lake is the largest in West Virginia, it’s better known for its clarity. The lake’s clear, Caribbean-like water and pale sandstone cliffs lure not only paddlers, but also scuba divers with its stunning underwater rock formations and even an entire sunken town named Gad. Rent a stand-up paddleboard at the Summersville Lake Retreat, or at Sarge’s Dive Shop at the Summersville Lake Marina. Explore the lake’s awe-inspiring 28,000 acres of water and 60 miles of shoreline during the day, and then stake your tent by the lake for the night at one of the walk-in sites at the Battle Run Campground. Need to spice up your flatwater paddling with a little current? 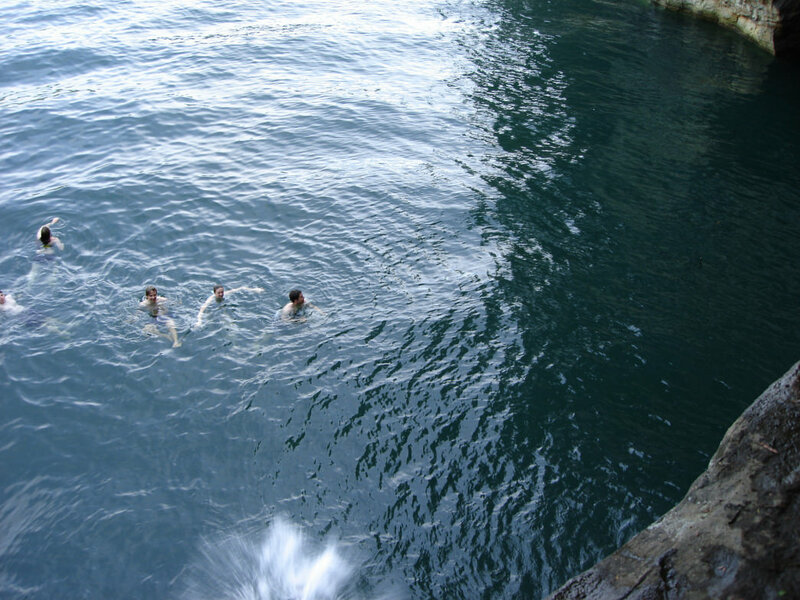 Luckily, Summersville Lake is bordered by some of the east’s premier stretches of whitewater. Head to the Gauley River National Recreation Area, adjacent to the lake, or drive an hour south to the New River Gorge National River and tackle some of the most thrilling whitewater east of the Mississippi River. 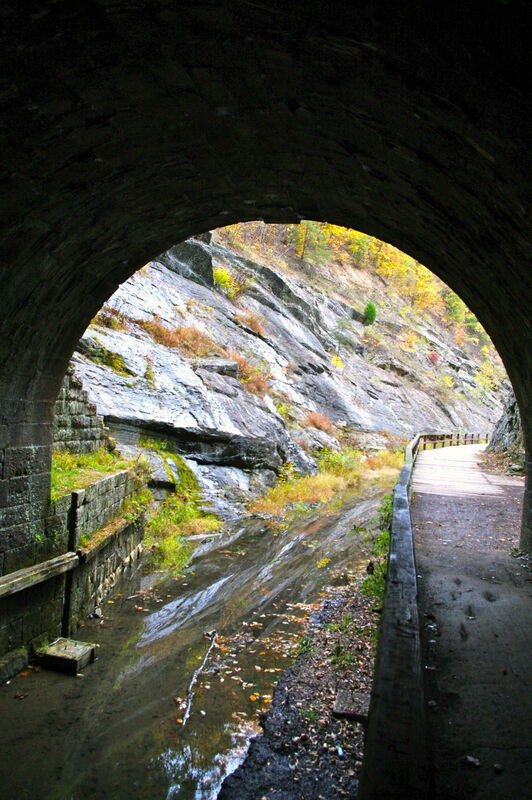 Paralleling the north bank of the Potomac River for almost 185 miles from Washington, D.C. to western Maryland, the nearly 170-year-old Chesapeake and Ohio Canal (C&O) is loaded with outdoor adventure. The West Virginia section passes some of the state’s most historic and picturesque spots. Hop on the bike and plan a multi-night trip on the West Virginia section of the C&O Canal, sleep under the stars at the free National Park Service campsites spaced every 6 to 8 miles along the towpath or opt to overnight in one of the historic towns fringing the waterway, like Harpers Ferry or Shepherdstown. Need to mix up your time on the trail? Convert your bike ride into a multisport trip with a paddle down the Potomac, and stretch out your legs on the Appalachian Trail, which winds through Harpers Ferry’s historic downtown. Discover more romantic escapes in the mountains.